Illustrations of crocheted, white cotton doilies make a lovely way to mark your outgoing mail! 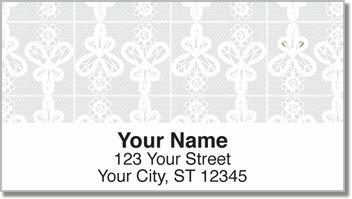 These intricate return address labels feature four lace patterns on colorful backgrounds creating an elegant finishing touch for your letters and packages. You'll find unique flower designs as well as little lace butterflies. 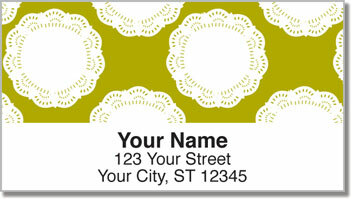 Lace Doily Address Labels let you express a little femininity and fashion sense. They'll also make it quick and easy for you to finish filling out envelopes. Just peel and place your labels using the convenient, self-adhesive backing. 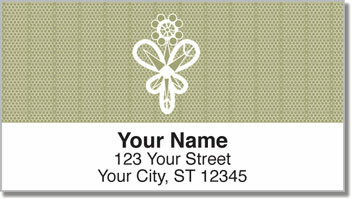 Get your very own Lace Doily Address Labels from CheckAdvantage today! 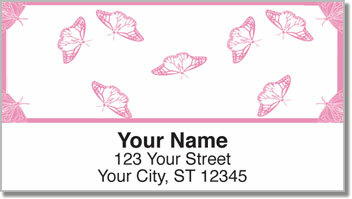 This eye-catching selection can also be ordered in a set of matching personal checks.